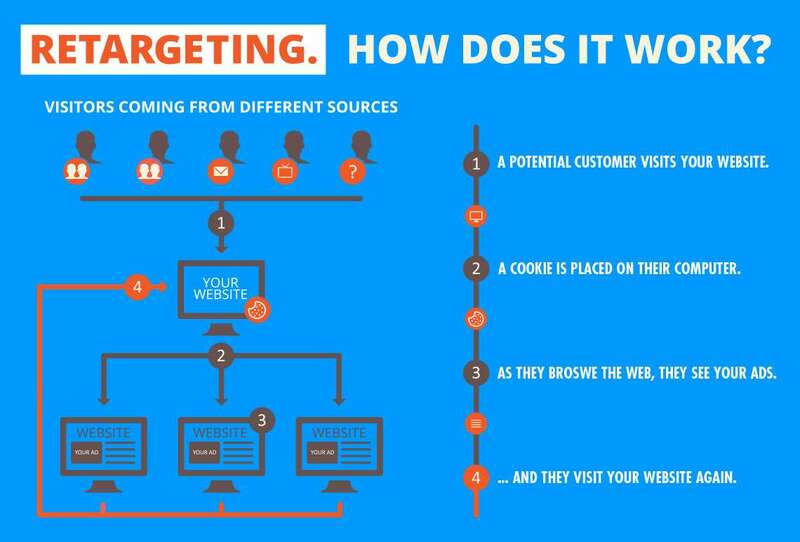 Retargeting, or Remarketing, is a technique that you are familiar with (even if you don’t realize it). If you spend any time online at all, you have been retargeted. Here’s what it looks like: You are on Amazon.com looking at a pair of shoes. You like the shoes, but you decide now is not the time to buy. A couple of days later you wonder what the weather is going to be for the weekend so you jump on weather.com to check it out. Low and Behold, there on the top of the page is a banner ad for the same shoes you were interested in a couple of days ago. Now imagine this for the product or service that you offer. A visitor comes to your website. Using the software that we install on your website, we track that visitors activity. We know what they are interested in based on what pages they look at. Now, we connect with vast ad networks that display ads on many of the major sites you visit everyday. We bid on space to place ads on those sites, so when your future customer arrives at one of the websites, the ad network recognizes that it is someone we’ve tracked. They also have our bid to place an ad, so the banner is displayed and the website visitor has been successfully reminded of your product or service and they have a fresh opportunity to return to your website by clicking on the ad. In short, it’s about nurturing your leads and turning anonymous website visitors into customers.